To continue the festive spirit, producers Shashi Sumeet threw a lavish bash last night for the friends from the fraternity. The party, at LEVO (Andheri West, Mumbai) saw an attendance by the producers and the actors had a gala time at the do and were seen dancing and chatting till late night. 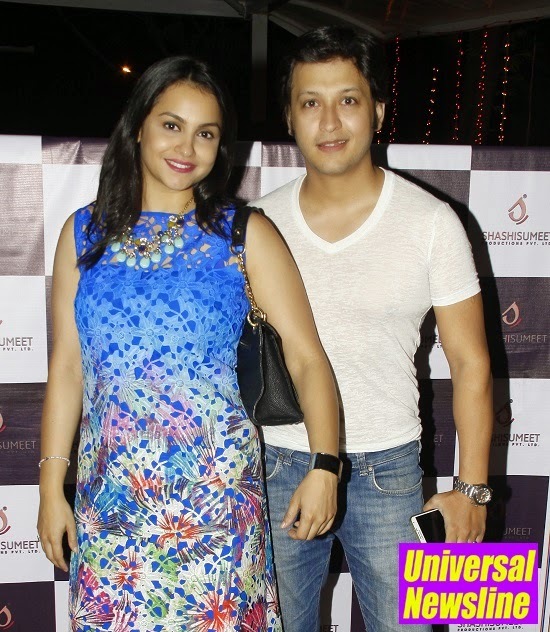 Among the filmy town celebrities Tumhari Pakhi fame Shraddha Arya was present at the party, Juhi Parmar and Sachin Shroff, Iqbal Khan, Barkha with husband Indraneil Sengupta graced the occasion. Naman Shaw was also seen at the bash while Preeti Chaudhary from Ek Rishtaa aisa bhi brought life at the event.